Have you ever wondered how to automate the laborious task of bookmarking any given visual designs, elements or websites to save for later, especially if it’s an inspirational piece for your work? 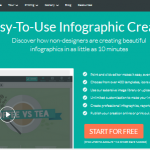 Having a user friendly tool at hand will do you wonders for your design career. Here in this article, we’ll discuss 7 useful tools that you can use effortlessly to help you compile your collection, and to ultimately feed your creativity. Dragdis is a simple tool that helps to bookmark what you need. All you do is drag and drop links, images, videos or text to a specified folder or social media account, and you’re done. No need to click around for anything at all. You can sign up with either your Facebook, Twitter or Google plus accounts. We like the fact that you can use its collaboration feature and share its findings with your peers, which is great for projects. This tool works as an iOS and Mac App which allows you to screen capture an entire webpage, as well as it’s archives. The search feature is very useful for looking around at bookmarked content. The visual display consists of a bookmark gallery, making it even easier for you to use. It also supports synching over the Cloud. Formally known as LittleSnapper, Ember has now evolved into a helpful tool that helps you bookmark your visual inspirations by either tag, pattern or platform. The great thing is that you can sync up your bookmarks to other devices too! What we liked about this tool is it’s ability to automatically draw fantastic shapes when drawing. You can also use Ember via your Chrome or Safari browser as an extension. Evernote is pretty much another simple tool to use. It works by using screen-captures of any target visual element and allows them to be pasted into Evernote as a note. It’s been noted that a good approach for using this tool would be to arrange your captures by categories and then link up the appropriate visuals to them. This would make your notes long, however, you’ll have a high level view of you bookmarks, making them easier to find. Raindrop is a fairly new App, available from Google Play, AppStore and as a browser extension for Chrome, Safari, Firefox and Opera. It’s main function is to help you collect bookmarks for web pages, videos, articles, so you can tag them into specific categories. We like the real time syncing feature, as well as the ability to share your collections with others, which is essential for project work. You can tag and set filters within the visuals in your collection, helping them to stay organised and categorised. You can also backup all this via Dropbox. Gimme Bar will save anything you want, from inspiring pictures to videos and text. It will display any given saved visuals to your gallery and can also be backed up via Dropbox. It is a simple as dragging and dropping anything you like into the actual Gimme bar. Like many other similar tools, Gimme Bar will allow you to share your inspirations with your peers, as well as help you organise them through categories and tags. Pocket will allow you to save whatever you want onto it, from your web browser or social media platforms like Twitter, Flipboard and others. You simply click onto a little button and it will “pocket” the visual of your choice into the Pocket gallery. Its integrated in over 500 Apps, making it very versatile. It runs from the most popular web browsers such as Chrome, Safari, Opera and Firefox and is supported on nearly all known devices. As you can see from our list of seven bookmarking tools, you have a wide variety of choices to consider. Some are paid, like Stached and Ember, however, many designers swear by these premium tools as necessity for their career. If unsure, you can always trial out whichever one draws your attention. Finally, if you’ve found this article useful, why not bookmark it, or better still share it with your peers. We’d also look forward to hearing your thoughts and experiences on these tools.